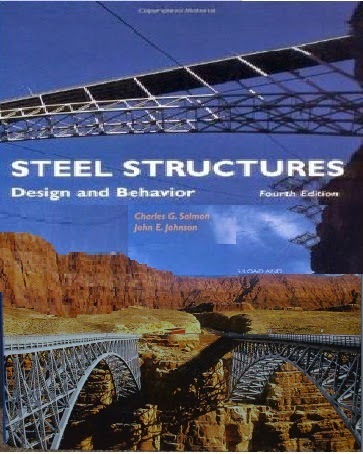 This book 'Steel Structures Design and Behavior' presents the theoretical background needed for developing and explaining design requirements, as the design of structural steel members has developed over the past century from a simple approach involving a few basic properties of steel and elementary mathematics to a more sophisticated treatment demanding a thorough knowledge of structural and material behavior. Steel Structures design and behavior strives to present in a logical manner the theoretical background needed for developing and explaining design requirements. Starting from the coverage of background material, also including references to pertinent research, the development of specific formulas used in the AISC Specifications is followed by a generous number of design examples explaining in detail the process of selecting minimum weight members to satisfy given conditions. 9. Lateral-Torsional Buckling of Beams. 12. Combined Bending and Axial Load. 15. Design of Rigid Frames.